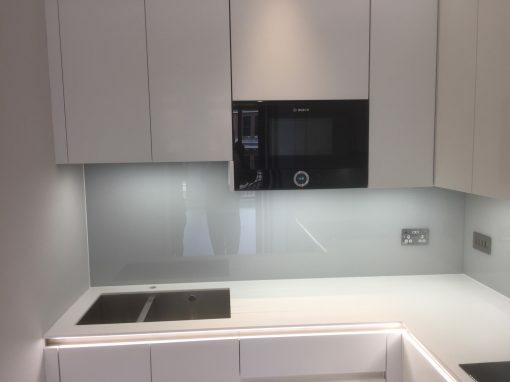 At Southern Toughening Glazing Ltd we will ensure that any kitchen splashbacks ordered by our Ewell customers are fitted in place perfectly, whether you choose to install one of our kitchen splashbacks as a single panel behind your cooker, or between the countertops and wall units along multiple walls in your Ewell kitchen. 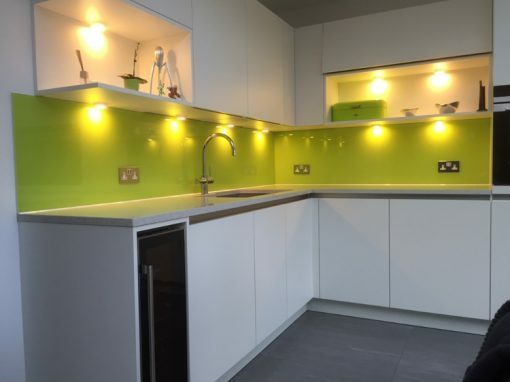 However we know that some of our Ewell homeowners enjoy do-it-yourself projects, and we are happy to supply and deliver glass kitchen splashbacks for you to fit yourself. 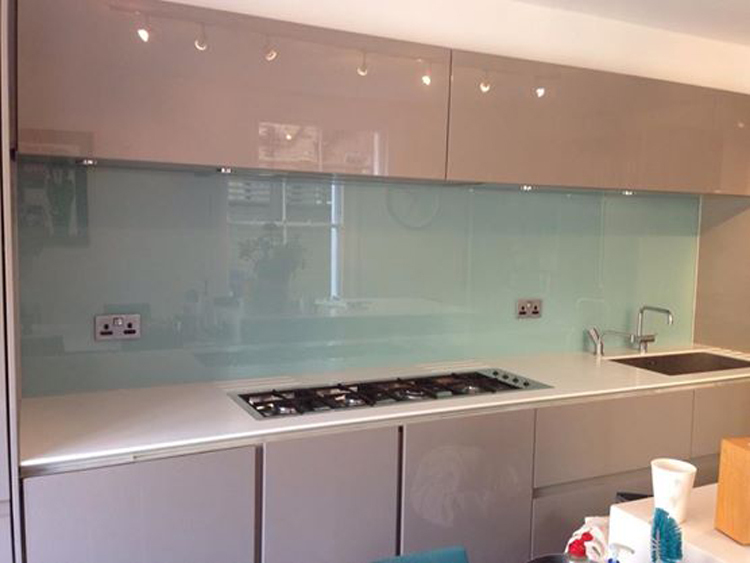 The easiest way to fix glass kitchen splashbacks to the wall of your Ewell kitchen is to use an adhesive. 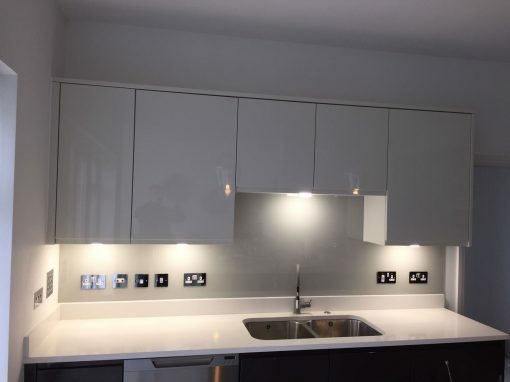 You will need to prepare the wall or walls that the kitchen splashbacks are being fitted to in order to ensure a relatively flat, smooth, clean, sealed surface. Lay the glass splashback along a flat surface and apply a special silicone splashback adhesive to the back of the glass. Place the bottom edge of the splashback on 2mm tile spacers or a temporary supporting batten applying firm pressure to the whole surface area. The adhesive will immediately stick but will take a minimum of 24 hours to fully bond. After 24 hours use the silicone to seal the 2mm gap left by the spacers and to seal around the perimeter. 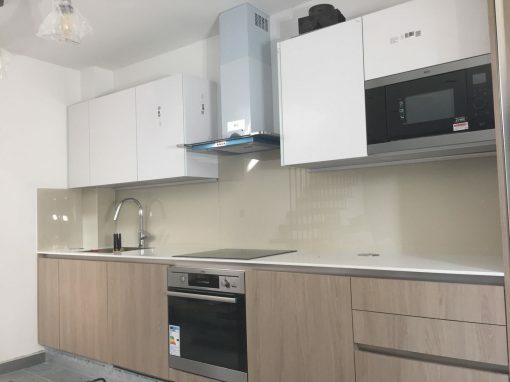 Adhesive gives a seamless finish but will make it a permanent fixture and kitchen splashbacks installed in this way cannot be removed intact.